Nothing says happy birthday like shutting out the neighbors. The border mountain between Uzbekistan and Kyrgyzstan that was the site of increased tensions–and temporary troop deployments–earlier this year is again in the news. The Kyrgyz Border Service said Monday that seven Uzbek border guards landed via helicopter on Unkur-Too. The mountain, which hosts a Kyrgyz government radio tower, is on a fractious section of the two countries’ 1,314 kilometer-long border, in the Kyrgyz Jalal-Abad region. Then the border was closed. According to RFE/RL and 24.kg, Uzbekistan decided to temporarily close the border in relation to its independence day celebrations. Nothing says happy birthday like shutting out the neighbors. As the countries of the region approach their independence anniversaries–Kyrgyzstan (August 31), Uzbekistan (September 1), Tajikistan (September 9), Turkmenistan (October 27), and Kazakhstan (December 16)–there will be plenty of reflection on what’s changed and what hasn’t. Prior to independence, the borders between the region’s Soviet republics were largely administrative. With independence, they hardened into international boundaries. As Trend reported last year, nearly 70 percent of the Kyrgyz-Uzbek border has been demarcated but about 300 km, spread across 50 or so sections, remain in dispute. In some places the border goes right through existing communities. 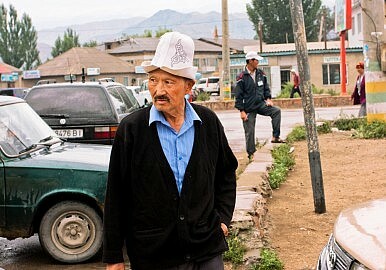 There are ethnic Uzbeks who live on the Kyrgyz side, with relatives on the Uzbek side and vice versa. The Kyrgyz authorities report that despite the temporary border closure Kyrgyz and Uzbek citizens will be able to cross into their own country. 24.kg reports, “Passage of the third country nationals, members of diplomatic services and international organizations is carried out in the prescribed manner.” So, it seems, only Kyrgyz will be prevented from entering Uzbekistan and Uzbeks prevented from entering Kyrgyzstan. This is far from the first time Uzbekistan has imposed border restrictions in the run-up to a major event. In June, ahead of the Shanghai Cooperation Organization summit all of the country’s borders were reportedly shut to normal travelers. The standard reason is security. After the March incident, Kyrgyz President Almazbek Atambayev threatened to skip the SCO summit in protest. Ultimately tensions abated and he attended, but the two sides have considerable work to do not just on settling the border, but finding a way to be neighborly on a consistent basis. Two Years Later: Who Isn’t Skipping the World Nomad Games? The Kyrgyz say several leaders, including the president of Uzbekistan, are set to attend the third World Nomad Games.